The mark of a successful sports event isn’t just the games that are won, but the entire package: the venues, location, off-the-court activities and ease of travel. If you’ve been tasked with planning an out-of-town event, Cape Girardeau, Missouri may be just what you’re looking for. It’s a perfect balance between a large sports scene and a charming city, where there are activities to keep all ages engaged from the time you arrive until the moment you leave. This brand new facility is already booking up for the coming year. The stats are impressive, and the space is state-of-the-art – proof of the growing sports scene in Cape Girardeau. The facility houses two indoor turf soccer fields that meet FIFA standards, set over 32,000 square feet and complete with scoreboard and sound system. It has 57,600 square feet of hardwood maple flooring for basketball and volleyball with court netting and plenty of seating for fans. Off the courts are concessions and lots of space for team meetings and celebrations. This venue has earned national acclaim for its top-notch facilities, which cover 32,000 square feet and host college-level athletics. 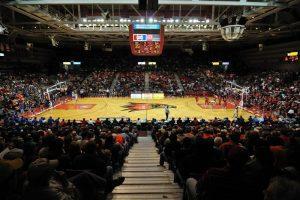 There are regulation basketball courts and two volleyball courts, with seating for up to 4,950. A concession area, restrooms and 1,500 free parking spaces make this a convenient and highly accommodating venue. Considered to be one of the best track facilities in the Midwest, it has played host to numerous large events, including the NCAA Division II National Championships. There is an 8-lane outdoor track, seating for 2,000 and a 2,000-square-foot facility that houses a weight room and restrooms. In 2012, a new hammer cage was added to upgrade the facility. 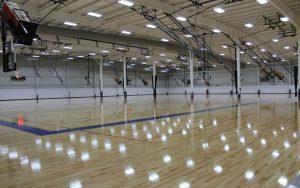 A large multipurpose facility, this complex covers 54,000 square feet. It is home to two basketball courts and four volleyball courts, along with an indoor track. There is seating for 2,000, chairs only. Concession and fitness areas, along with 585 free parking spots, are part of the center. Inside this multisport center you will find three high school-size basketball courts with rubberized flooring; two collegiate-size, hardwood volleyball courts; five full-size volleyball courts (three with hardwood and two with rubberized flooring); a 4-lane, 170-meter track with long jump and pole vault area, and six racquetball courts. In addition to the range of facilities, there are locker rooms, meeting and lounge space, and a climbing wall. This massive sports complex, set on 120 acres, is perfect for tournament play. There are 14 fields that convert between soccer and football (three lighted), with bleacher seating for 40, though more may be available. In addition to soccer and football, there are six regulation softball fields with electric scoreboards and two lighted baseball fields. The complex is group-friendly, with three full concession areas, air-conditioned restrooms and over 500 free parking spaces. This venue can serve as a great space for events or event registration, with its 6,500-square-foot gym, 1,500-square-foot meeting room, 870-square-foot fitness room and 480-square-foot kitchen. Houck Stadium has a history, and, at 87 years old, is one of the oldest stadiums west of the Mississippi. It is home to collegiate football and a go-to venue for larger events. There are a football field and turf soccer field, both of which take advantage of a press box, locker rooms, a video scoreboard, lighting suitable for television and seating for up to 10,000 (400 with chair backs). 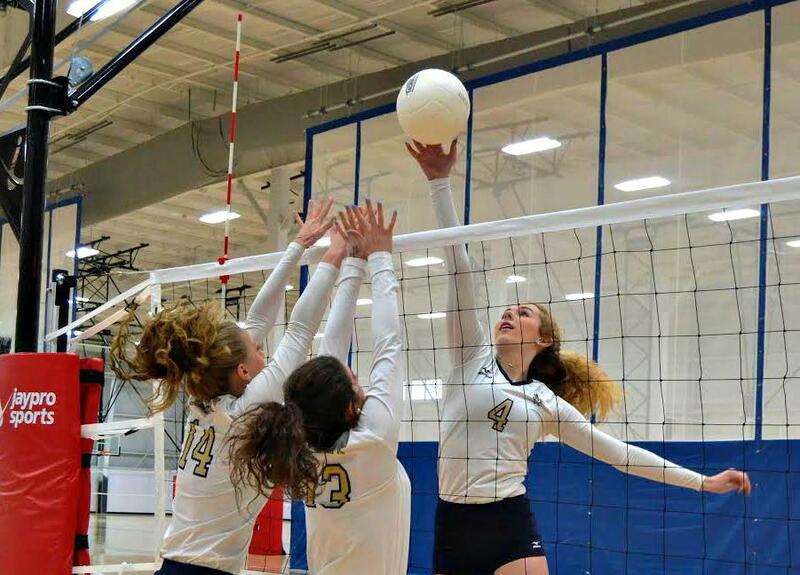 This facility offers a great variety, and along with a soccer field and two regulation-size volleyball courts with hardwood flooring, it is also a chosen venue for gymnastics events. The 40,000-square-foot building itself is 40,000-square-feet and includes concession stands, locker rooms, a sound system and scoreboard, with seating for 1,000. West Park Lanes is the place to be for bowling in Cape Girardeau. There are 32 Brunswick Pro Anvil lanes, automatic scoring, a pro shop, full-service bar and lounge, game room and snack bar. Capaha Field, considered to be one of the best playing fields in the Ohio Valley Conference, is home to the Southeast Missouri State University Redhawks and the Capahas, a semi-professional baseball team. The lighted, semi-pro baseball field meets NCAA Division I standards, with seating for 2,000. Amenities include an air-conditioned, state-of-the-art press box and three picnic shelters. 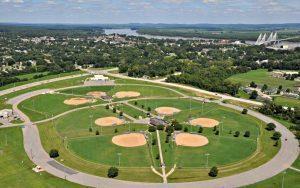 This complex, perfect for any softball event, houses three NCAA-compliant, lighted fields. There are batting cages, a widescreen and bleacher seating for 600. Amenities also include a concession stand, press box and a state-of-the-art scoreboard. A fun and versatile venue, this complex can host sports such as lacrosse, Frisbee, soccer and football. It also houses a low ropes course that is perfect for leadership training or team building. Set in a 90-acre park, this 13,458-square-foot facility has plenty of options when it comes to events. There is one high school-regulation indoor basketball court, two full-size volleyball courts and a portable scoreboard. The arena seats up to 1,800 and offers a concession area, a sound system and 300 free parking spaces. Thinking of hosting a rodeo event in Cape Girardeau? Well, look no further than Arena Grandstand. It has a dirt base and seating (half covered) for 4,000. A major sporting facility in Cape Girardeau, this complex is home to nine youth baseball fields (five lighted), six youth softball fields (five lighted); four outdoor tennis courts with lights and two outdoor sand volleyball courts with lights. In addition to the wide variety of playing fields, there are seven concession stands, five restrooms, nine picnic shelters with 80 picnic tables and three playgrounds. If you’re searching for space, you’ll find it here. This basic outdoor tennis complex may not offer many amenities, but it does have eight high-quality regulation courts, all with lights, perfect for single matches or tournament play. Golfers will be pleased to learn that Cape Girardeau is home to one of Rolex’s “Top 1,000 Courses in the World” and is ranked 135th in the U.S. by Golfweek 2014. This 18-hole course is a beautiful 7,400 yard, par 72. On site are a clubhouse, pro shop, driving range and practice area. Set in rolling, forested hills, this 18-hole, par 70 course lies on 110 acres, with tree-lined fairways. There is plenty of space to warm up or practice on the putting green and warm-up net, and the pro shop houses restrooms, a snack bar and TV lounge area. This 18-hole disc golf course, moderately hilly and wooded, is a par 54. There are restrooms along the course, along with water fountains. This 10-hole course on 39.3 acres is mostly flat and a par 34. Along the course you will find two restrooms, three picnic shelters, a beautiful walking path around a pond and three play structures to keep the kids entertained. The natural backdrop of Cape Girardeau is not to be missed – whether you get out onto the trails for recreation or competition. 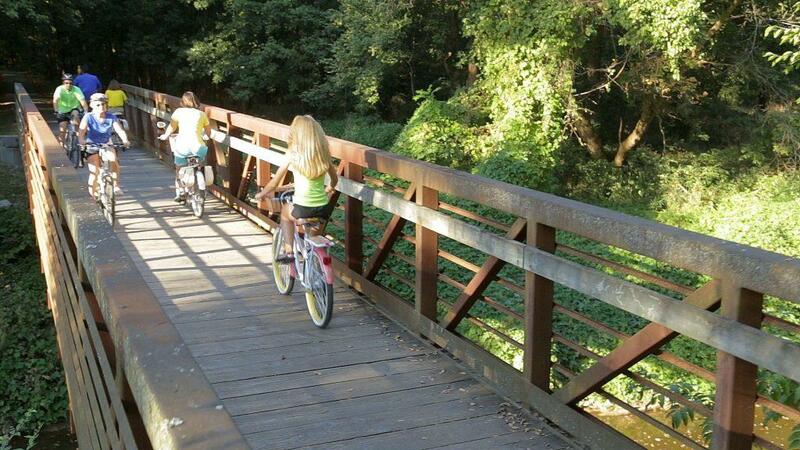 This recreation trail crosses the city, passing through beautiful parks along the way. The trail is 5.67 miles of asphalt and concrete, perfect for running, walking, skating or cycling. This unique facility changes with the seasons, converting from an outdoor pool in the warmer months to an indoor, insulated bubble during the winter. The pool is regulation Olympic-size, ranging in depth from 3.5 to 13 feet. Diving is also possible in the pool, and you’ll find two one-meter and one three-meter diving boards. During the summer there is a concession area, and year-round a vending area, restrooms and changing facilities with showers. The aquatic center is a great place to host swim meets and houses a competition pool with six 25-meter lanes, in addition to a four-lane lap pool. Amenities include a hot tub with hydrotherapy jets and a lounge area, along with locker rooms and LED scoring. Conveniently located in the heart of the nation, located directly on Interstate 55. Cape Girardeau is the largest community between St. Louis and Memphis, a regional hub pulling daily from Southern Illinois, Southeast Missouri and Western Kentucky. Two hospitals, a state university and several national companies call Cape Girardeau home. Just under 1000 hotel rooms, with a brand new Drury Hotel & Conference Center recently opened, and the new Courtyard by Marriott opening next year in historic downtown Cape Girardeau. Winning record when it comes to hosting regional and some national tournaments. New Cape Sports Plex opened in May and houses two indoor soccer fields and six full, regulation sized basketball courts and 12 volleyball courts. The Sports Plex is managed by the same winning team that runs the city’s Shawnee Sports Plex and other City Parks and Recreation Department facilities. Host of the Missouri State High School Athletic Association’s Volleyball Championships and past host of the golf championships. Everyone has their own vision of iconic America, and Cape Girardeau reminds many visitors of the country as it’s so often envisioned: a place with a gorgeous natural backdrop, streets filled with quaint shops, a long list of historic landmarks, thriving nightlife, family fun and plenty of local, tasty food. This idyllic setting can provide you not only with the perfect location for an event, but for a getaway that will leave you feeling refreshed and energized. If you’re planning a sporting event, chances are those in your group will be interested in the region’s many outdoor activities. Hit the trails around Cape Girardeau for miles of hiking and biking options, and, of course, the mighty Mississippi River is not to be missed. The region is also known for its selection of wineries, which can make for a great day tour for adults in the group. For those who would like to add a little more recreation to their visit, Cape Girardeau has five golf courses in the immediate area. Downtown Cape Girardeau is a charming place to explore, with a variety of antique and specialty stores that are locally owned and always good for interesting finds. Stroll down Main Street and you’ll also find a host of galleries and studios displaying local and regional creations. A great place to pick up a souvenir from your visit. Cape Girardeau isn’t short on family fun, either! Kids and adults alike love the Cape Splash Family Aquatic Center, with its lazy river, flume slides and pools. There’s no better place to cool off on a hot summer day. Animal lovers head to Lazy L Safari Park, where you can encounter exotic animals – an experience that will surely be one to remember. When planning your next event in Cape Girardeau, you can rest assured that keeping visitors entertained may just be the easiest part of your job. How do we get to Cape Girardeau? On the map, all signs seem to point to Cape Girardeau. The city is surrounded on all sides by major U.S. cities including St. Louis, Nashville, Memphis and Little Rock, providing your guests with a wealth of travel options. By car: Cape Girardeau sits along I-55, which puts it on a convenient travel path for those visiting the region by car. From St. Louis it’s about a one-hour drive south, and from Memphis it’s about two-and-a-half hours north along I-55. Bisecting Cape Girardeau is I-40, a major thoroughfare connecting North Carolina and California. By air: Lambert International Airport in St. Louis is the best bet for those traveling from further afield. Once in St. Louis you can rent a car or fly into the Cape Girardeau Regional Airport, which is serviced by Cape Air. Special Olympics Missouri has always been pleased with the quality of service we have received over the years when the City of Cape Girardeau has hosted our competitions. The staff is top-notch and goes above and beyond to meet the goals of the event. The event is always well organized and managed. The City of Cape Girardeau is an outstanding city to host our events. Great facilities and the local Parks and Recreation staff is dedicated and hard-working. We are pleased with our partnership with them.